OK, not really. But I wanted to channel her with my new do. If you’ve been following my blog religiously, which I’m sure all 76,763,673,423,234 of my daily readers have, you may have remembered my post about getting my hair cut last week. And I’m sure all 76,763,673,423,234 of you have been waiting anxiously for the after pictures of my haircut. I posted some pics on Monday from the Block Melanoma run I did over the weekend. If you noticed, my hair is shorter. But, it is also extra heinous in those pics. It was way early on a Sunday morning and I hadn’t even had a whole cup of coffee yet. Long story short ... I LOVE THE CUT! It's so easy to style. I think it makes me look older and more mature. It's so easy to style. It's different and unique. Did I mention it's so easy to style? 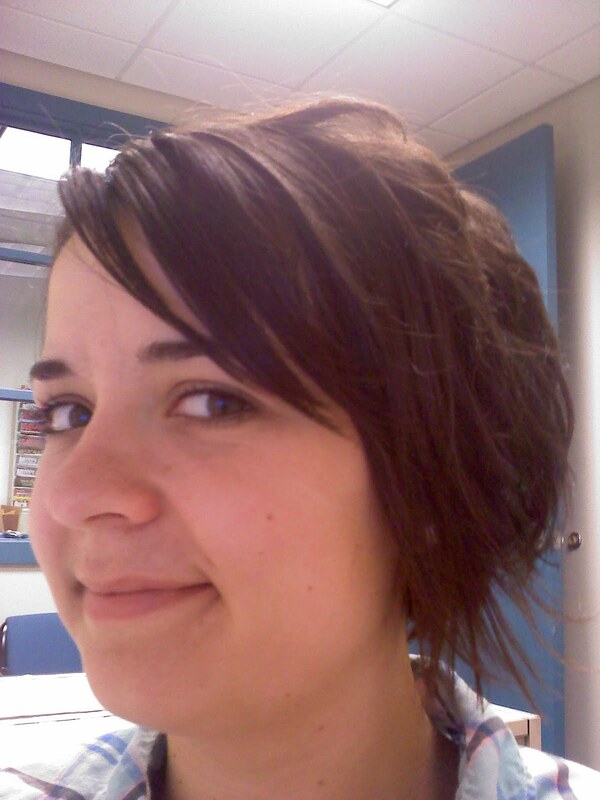 Krystal did an awesome job listening to what I envisioned and then giving me an awesome haircut. Thanks again, girl! I love it. 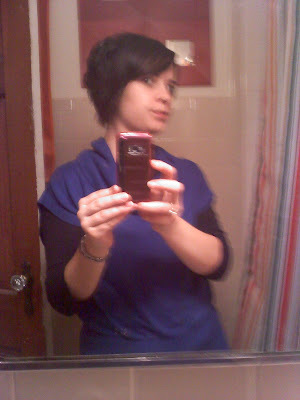 And, in all honesty, I don't think this hair cut would've worked on me 30 pounds earlier. My cheeks were rounder, making it harder to pull of this edgier cut. Maybe I should do an ab workout in the mornings now with all the time I used to spend blow drying my hair. Who am I kidding? That extra time will be spent getting beauty sleep.